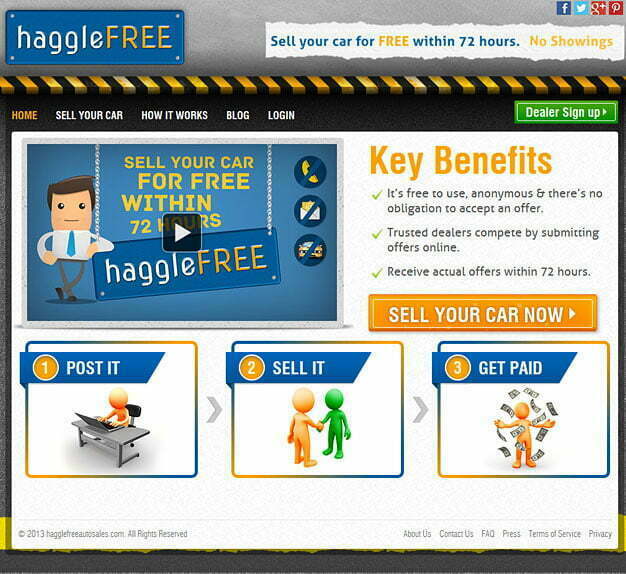 Haggle Free Auto Sales team has over 45 years of collective experience in related fields of automotive, finance, aviation and education. They have drawn on that experience with an eye for customer satisfaction. 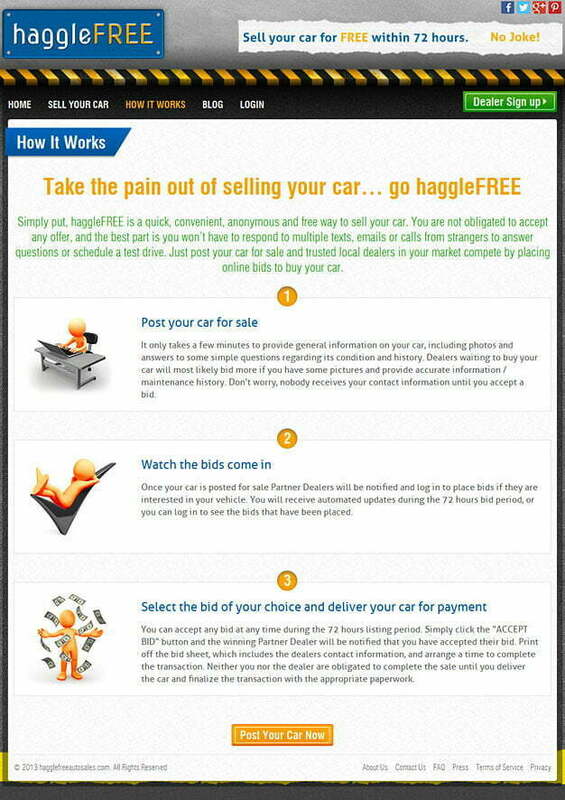 Their aim is to provide you with the platform that takes away the inconvenience of selling your vehicle; making it easy, quick and for the best possible price. They also are addressing the need for dealers to have a steady flow of quality vehicles for their business so both parties will obtain good benefits through their unique service. 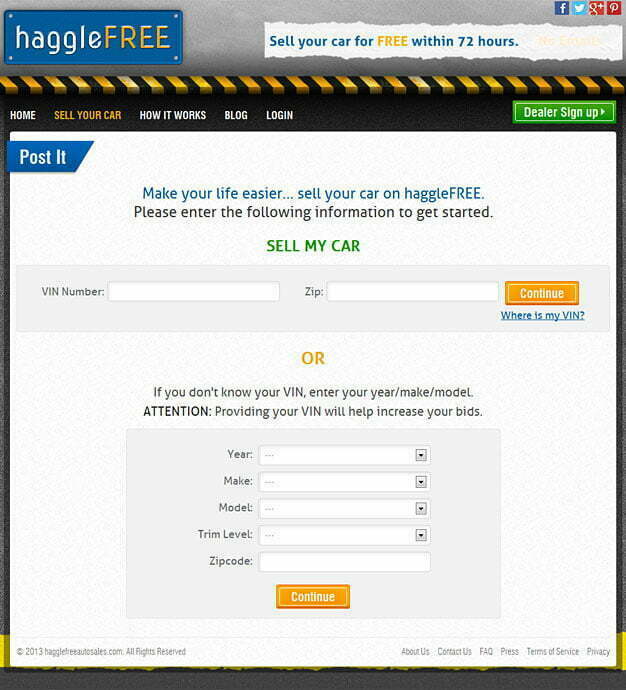 Haggle Free Auto Sales has been able to reach out to a wide clientele base and provide them assistance in selling a variety of vehicles at very favourable prices. Their online business has grown sufficiently that they have expanded in two new cities. Dealers have found their service to be convenient to use and it has allowed them to more easily find specific vehicles they are interested in. The company needed services that were user-friendly and a site that was easy to move around in for all parties concerned. It required an auction feature for online bidding, and a secure way of sending private data. It also required ease of accessibility for mobile devices, as their prospective customers would be using a variety of devices for logging in to their site. 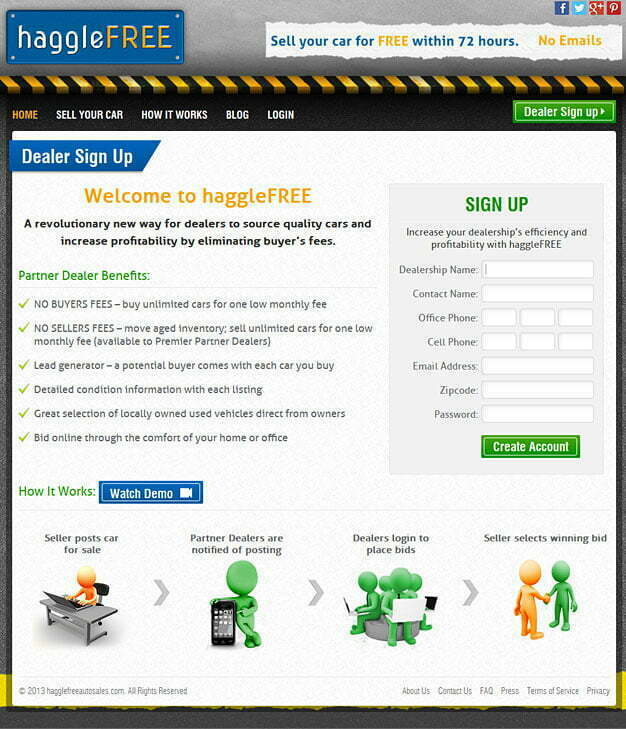 Pulse was able to design a custom web site to meet all of these needs for Haggle Free Auto Sales.PHP was the platform that Pulse worked with that provided the needed mobile accessibility and high usability that was required. MySQL technology was effectively used to present an eye-appealing design with attractive colouring and textures with a sharp, clear look. This was also the backbone for the easy navigational features that were built in too. PHP and MySQL have worked well together to give the fast and uncomplicated solutions that Haggle Free Auto Sales was looking for. They have been very pleased with the results. 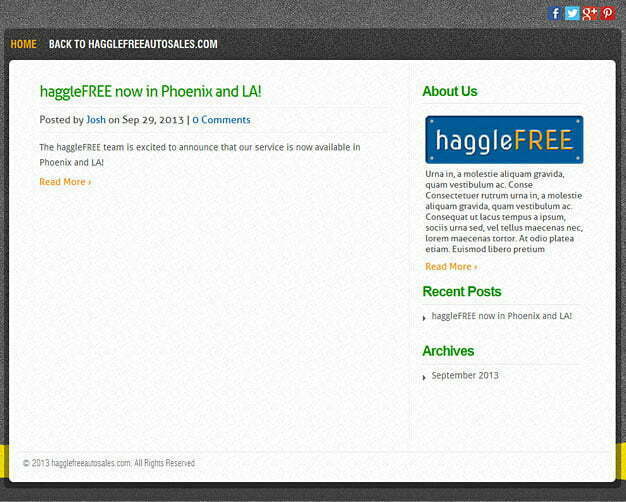 Pulse was able to incorporate fast service and delivery features to help the company’s clients to truly have a ‘haggle free’ experience on the site.